Good afternoon. For those who are not signed up for the “Church Life” emails, we are partnering with an organization called CHiP (Children’s Health Improvement Program) to collect coats for the next several weeks at church. You can help make a difference in someone’s life this Christmas by providing a coat. . You can either bring it to church or drop it off at the office. Follow the link SignUpGenius Cold Weather Needs and sign up to get a particular size. Our children are putting on a Christmas play this Sunday. Come out and support them as they will bring us a God glorifying message that will certainly put you in the Christmas spirit! I’ll see you Sunday at 5pm in the Sanctuary. Finally, we will keep our regular Sunday morning schedule on Christmas Eve. Both the 9:30 and 11:00 services will run as usual and we will hold one evening service at 5PM. 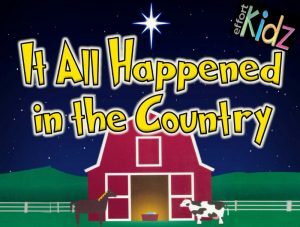 Mark your calendars for this special Christmas tradition: The children’s Christmas musical will be performed on Sunday, December 17th at 5PM in the Sanctuary. Christmas Eve falls on Sunday this year. We will hold services at 9:30AM and 11:00AM as usual, and also at 5:00pm in the FLC.